Basic accomadation? yes! 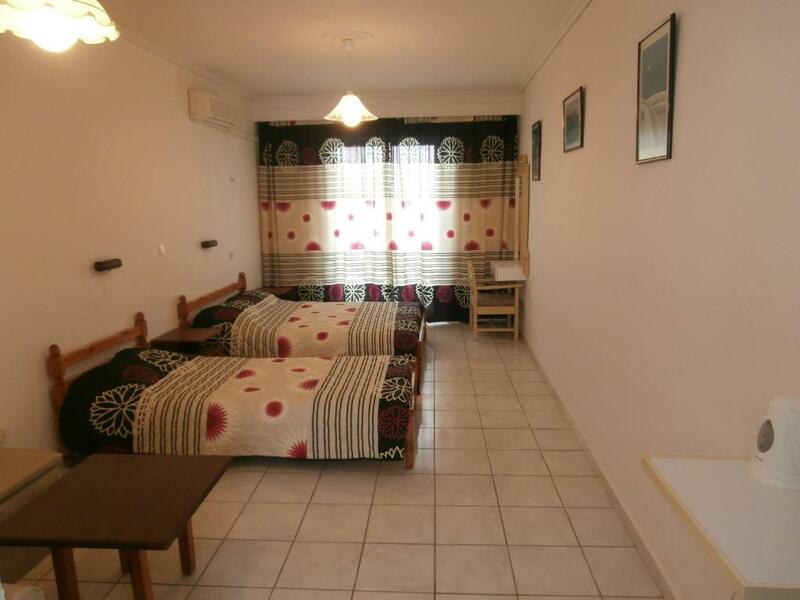 But I would book this again, ideal location for shops, beach, restaurants etc, room serviced daily, clean apartment and a great shower, kitchen was very basic but we coped, and overall we really liked this accomodation! 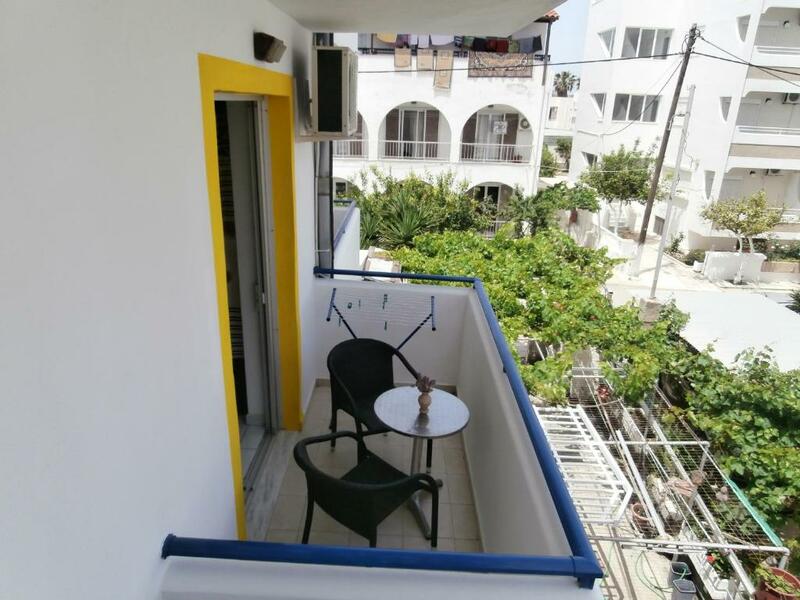 Good location within walking distance of centre, supermarkets and restaurants.Bus service to airport, to Mastichari and Kos town nearby. The room is big. In the room was good furniture in enough. Yiannis the owner of the Skoufezis was very friendly and accommodating. The studios were spotless. Everything was fab. Prijs was redelijk. Al moest ik achteraf nog voor Airco betalen. Расположение хорошее, 5 минут от центра посёлка пешком( тихо и спокойно), до пляжа 3 минуты, до другого 7 минут. Меняют белье часто, убираются в номере каждый день. Ότι υπήρχε καθαριότητα κάθε μέρα και αλλαγή πετσετων και κάθε 4 μερες αλλαγή σεντονιων. La posizione è ottima, la struttura si trova a due passi da centro di Kardamena e si trova anche in posizione comoda per raggiungere le varie spiagge dell’isola! Io durante il soggiorno ho affittato un motorino e in massimo 30 minuti di strada ho raggiunto le varie coste e le varie spiagge. В целом неплохое место за неплохие деньги. Отлично отдохнули. 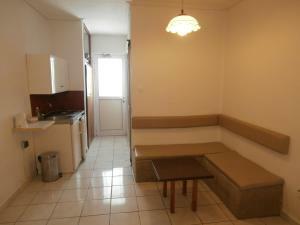 Skoufezis Studios offers spacious self-catering accommodation with free WiFi at the centre of Kardamena. 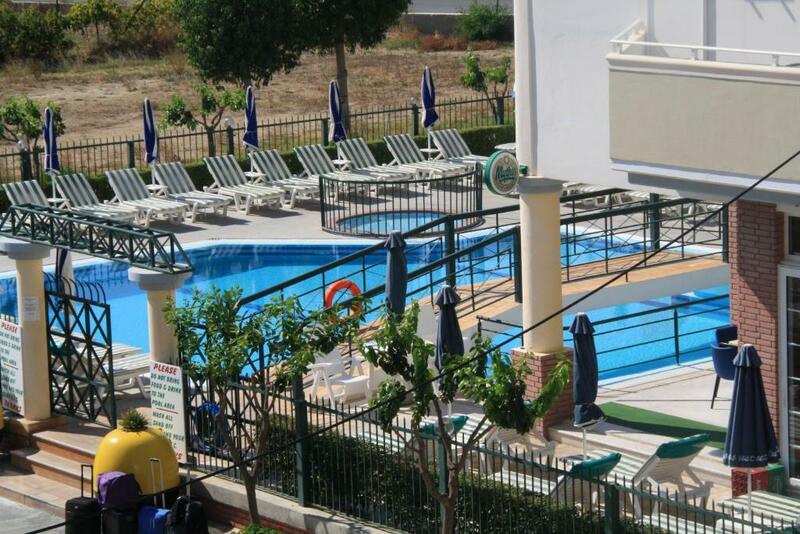 It is located within a 5-minute walk from the beach and a public swimming pool is 10 yards away. 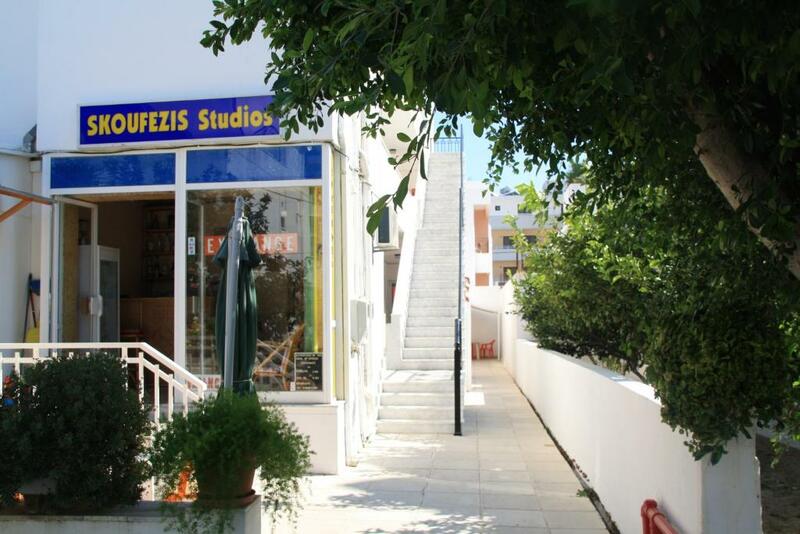 Featuring wooden furnishings and tiled floors, all studios at Skoufezis include a kitchenette with fridge and cooking hobs, and a safe. 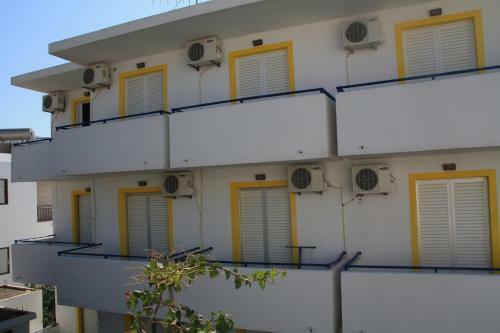 Each unit opens out to a balcony and has a private bathroom with bath or shower. Air conditioning is available at extra charge. 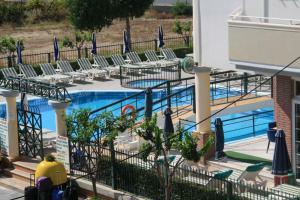 Skoufezis Studios is located 7 kilometres from the airport and 30 kilometres from Kos Town. A wide range of water sports, shops, restaurants and nightlife can be found at a short walk. This is our guests' favourite part of Kardamaina, according to independent reviews. 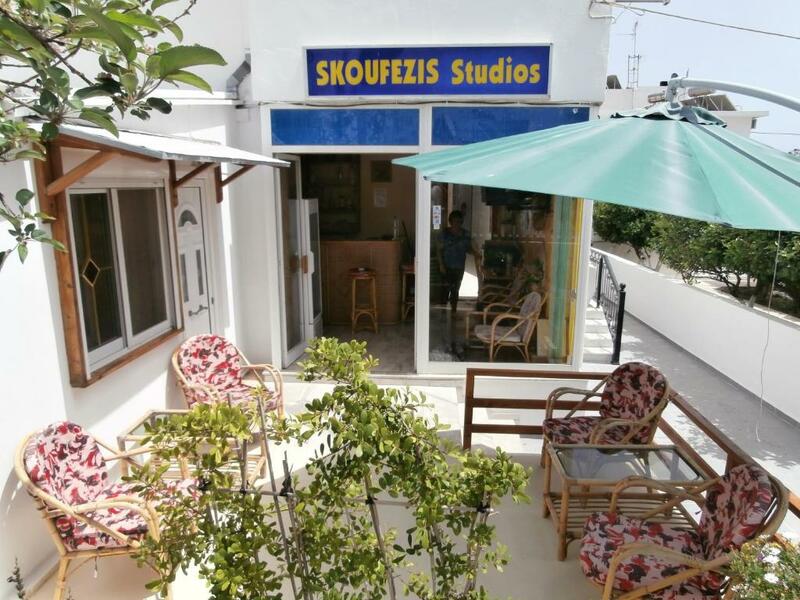 Skoufezis Studios has been welcoming Booking.com guests since 10 Dec 2009. When would you like to stay at Skoufezis Studios? Furnished studio with spacious balcony overlooking green yards. Includes bathroom with shower and a kitchenette with fridge. Please note that air conditioning is provided upon request, at extra charge. House rules Skoufezis Studios takes special requests - add in the next step! Skoufezis Studios accepts these cards and reserves the right to temporarily hold an amount prior to arrival. Please note that studios are cleaned 4 times a week, while linen and towels are changed once per week. How to get to Skoufezis Studios from "Kos International Airport ""Hippocrates"""
Nothing to be fair! We got what we paid for and probably a little more. Need to pay at the property and card machine didn't work so make sure you have cash as a backup. Aircon extra. When we came into hotel, the boss of the hotel said, that he doesn't know about our coming, and ask more money for a room. When we were booking the room, we wrote the comment, which we will come with two small children 4 and one years. But we must pay for three adult person. All of us were so tired from the trip, and we ask to stay only on one day, but he didn't allow, and we must pay for three days. 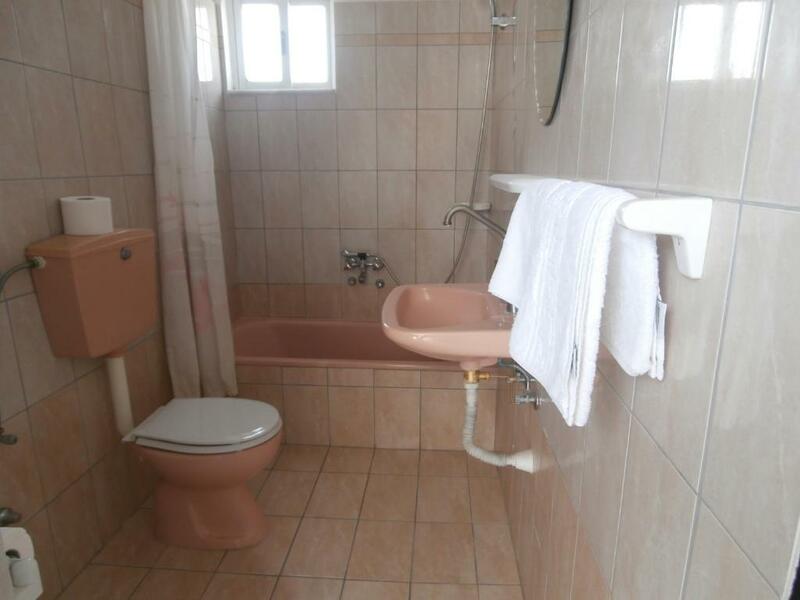 In the bathroom of the room is an awful smell of sewerage. We can't use the kettle because it starts to produce a smell when we switch on it to boiled water. Cool clean big room, good quiet location. Staff was helpful. I couldn't pay with card. The host was not so hospitable.